A fully height adjustable jump. 1. You have a box at each end of the fence in this case fitted to a pair of Pillars. "A really practical cross country range. 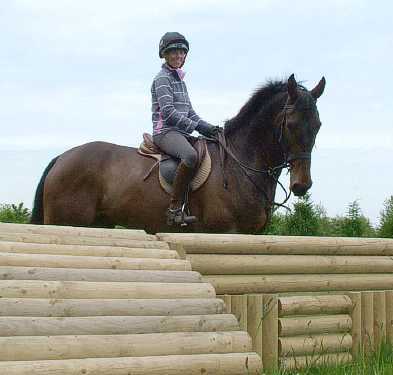 Its great to have adjustable heights therefore suiting both young and experienced horses"
If you are anchoring the XC system, it is recommended that you use 3 anchors per Pillar. Retainers hold the Event pole in place.